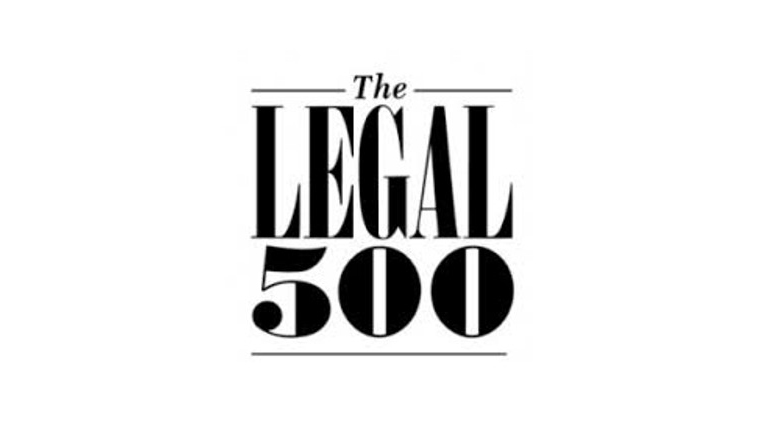 The firm has been highly ranked in the latest edition of Legal 500. Leading independent legal ranking publication Legal 500 has again highly ranked a number of our practice areas and solicitors. Banking and Finance - the ‘excellent’ Neil O’Keeffe and practice head Richard Curran are recommended. Capital Markets - David Williams is recommended. Commercial, Corporate and M&A - The ‘intelligent and pragmatic’ team includes managing partner Emmet Scully and ‘Problem-solver’ Gerry Halpenny. Dispute Resolution - Practice head Michael Kavanagh is recommended. The ‘superbly efficient’ Jennifer Clarke and Edmund Butler are also recommended. EU & Competition - Marco Hickey is recommended, whose ‘huge amount of international experience is useful for both local and international acquisitions’. Employment - Aoife Bradley and Jennifer O’Neill are recommended. Energy and Natural Resources - Philip Daly is recommended. Insolvency and Corporate Restructuring - The ‘very responsive and capable’ Jill Callanan is recommended as is Ruairi Mulrean. Insurance - Edmund Butler is recommended. Intellectual Property - we are recommended. Investment Funds - LK Shields Solicitors is ‘quick in understanding the problems and getting the proper answer’. David Williams is recommended. Pesions and Employee Benefits - Amy Bradley is recommended. Projects and PPP - Richard Curran is recommended. Real Estate - Clair Cassidy and John Campbell are recommended. Telecoms - Practice head Gerry Halpenny provides ‘consistently practical and appropriate advice’. 2 lawyers are listed in the elite "Leading lawyers" list. 1 lawyer is listed in the "Next generation lawyers" list.